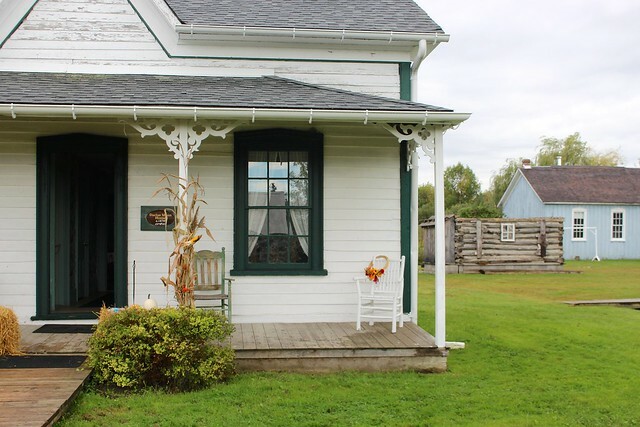 Garrett and I are big history lovers (see here, here, here, here, here and here) so it should come as no surprise that once we bought the farmhouse we’d want to learn more about it’s 112 years of history. With some encouragement from family friends we decided to join our local historical society. 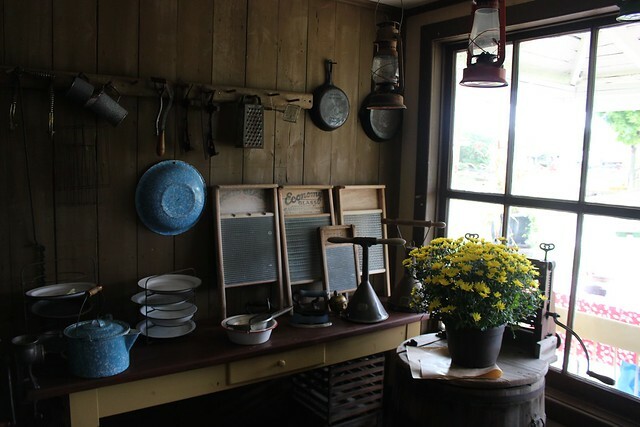 They meet once a month to talk about local buildings and artifacts, as well as events that they put on at the local pioneer village. 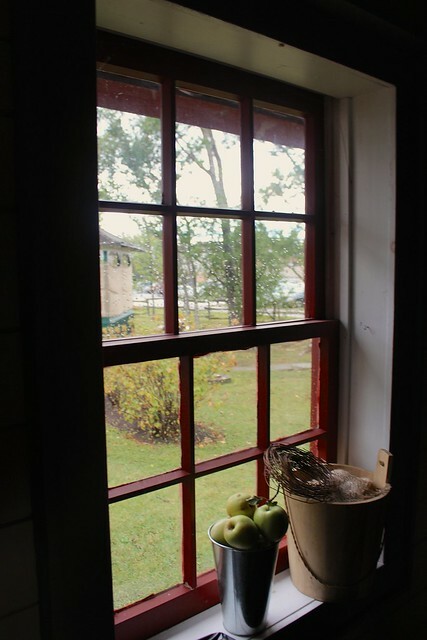 It also gives us a chance to dig into the local archives and learn more about the history of our house and area around it. 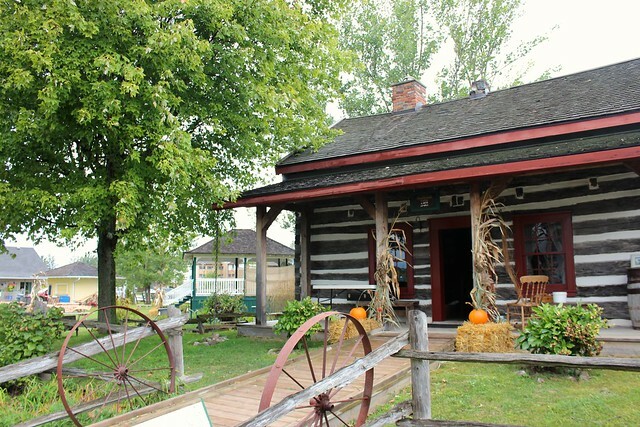 The pioneer village has always been one of my favourites. I can remember going here on many a school field trip and learning about the different buildings and towns they’d come from. The last names on the houses and streets were the same as the kids that I grew up with. My family moved to this area 30 years ago and while I still consider Thornbury to be my family’s hometown, this area is really where I grew up and where we live now too. 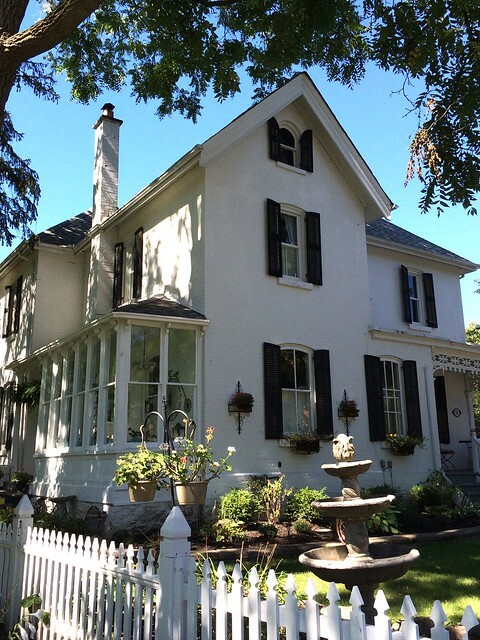 Garrett’s family has lived here for over 175 years! 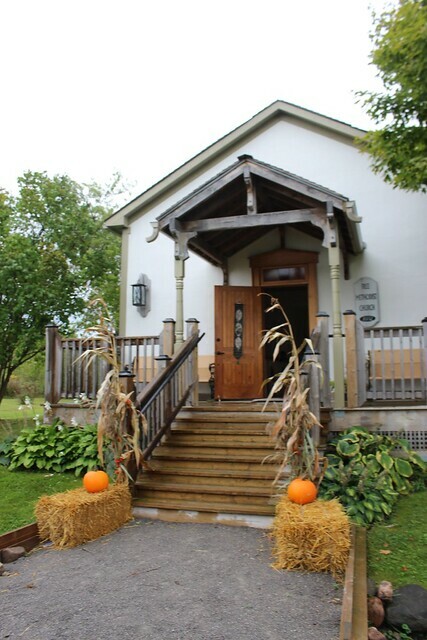 Over the weekend the society held a Harvest Festival for visitors to participate in activities throughout the village and pop into the buildings for a peek. 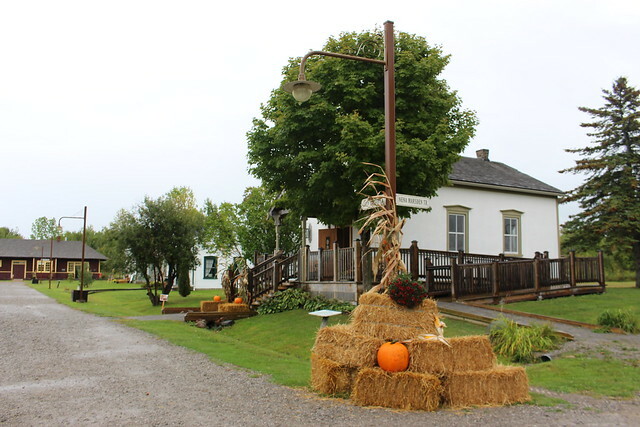 It had been at least fifteen years since I’d visited and I loved getting the chance to see it all dressed up with cornstalks, hay bales and pumpkins. It really made it feel like fall! 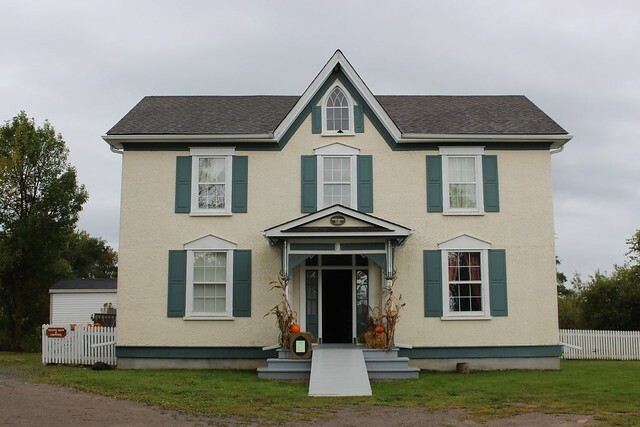 We have our first meeting with the historical society this week and I’m looking forward to learning more about it! Buildings like this stucco house have so many features similar to our own house that I’m hoping to learn more about how to restore some of ours too. 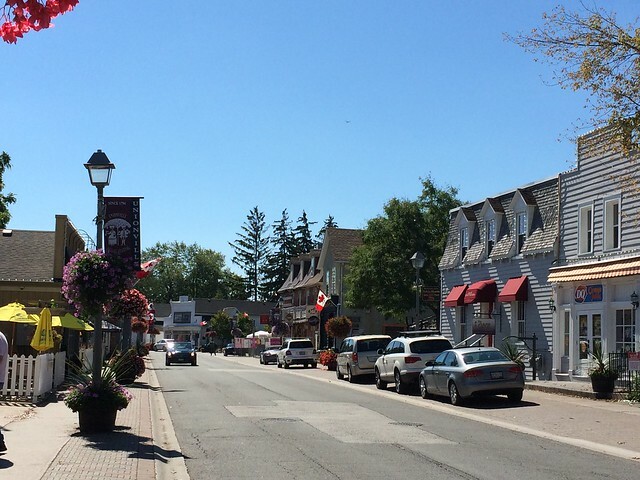 Earlier last week an appointment brought me into one of my favourite small towns in Ontario – Unionville! 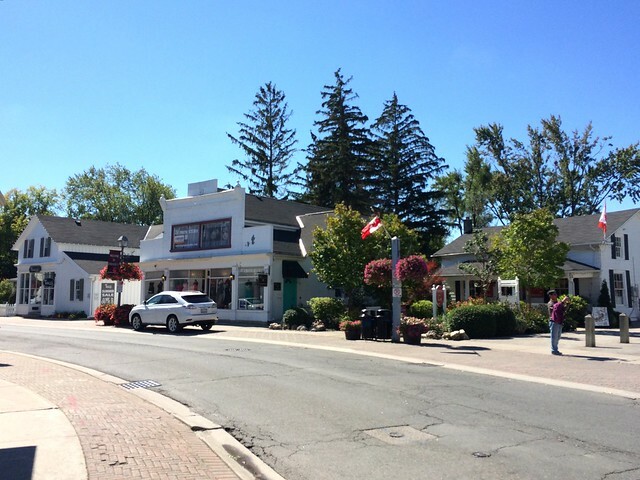 I’ve written about it before because it’s also the original filming location of one of my all-time favourite shows – Gilmore Girls! I’ve written about it here and here. 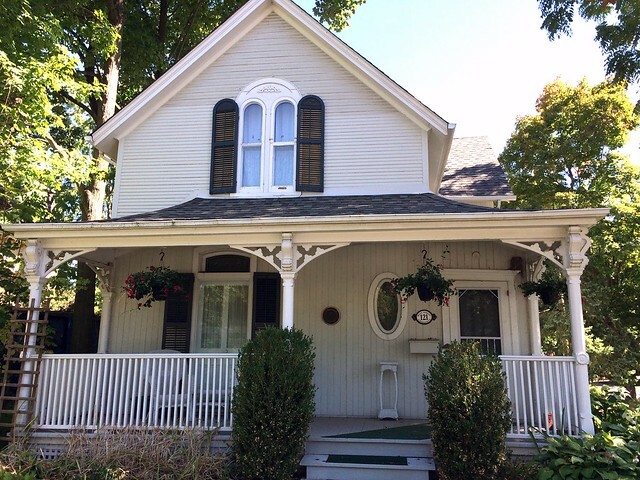 …to beautiful old homes at every corner. 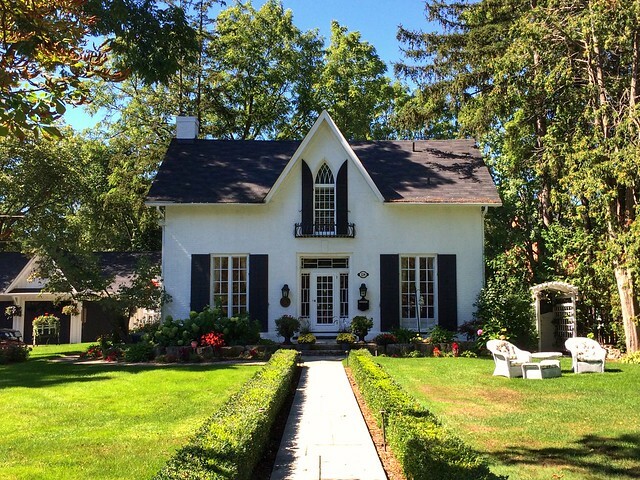 I spent my whole lunch hour walking around and admiring all the houses. 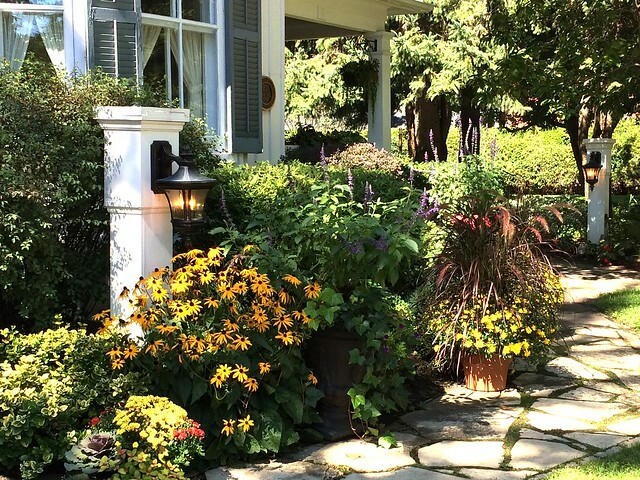 I took some notes on what I’d like to do with our own gardens next year. Big dreams folks! 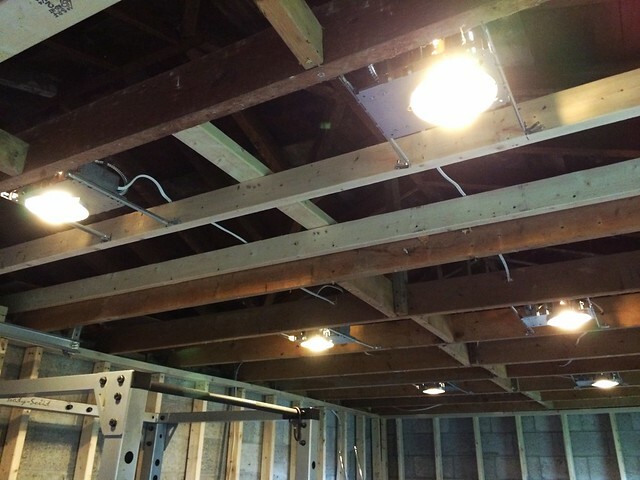 Back at the farmhouse, the electricity and new pot lights have been installed in the garage/future home gym. 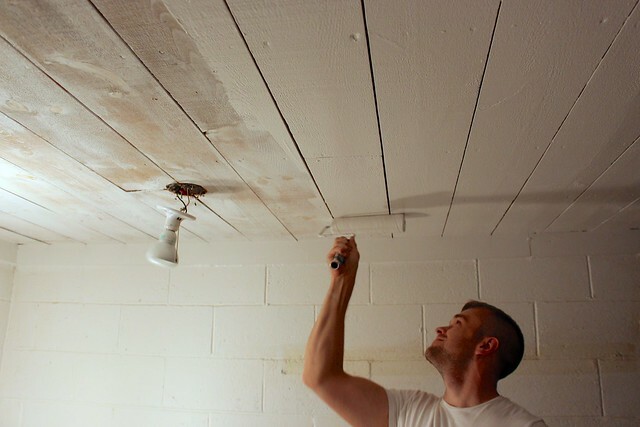 Next up is insulation and drywall and then my favourite part…paint! Speaking of painting, we’ve moved our brushes inside. Here is a sneak peak of the room makeover I’m sharing this week. It’s a fun one! I just finished rewatching the gilmore girls series for probably the tenth time to get in the mood for “fall”, lol. I love that show! 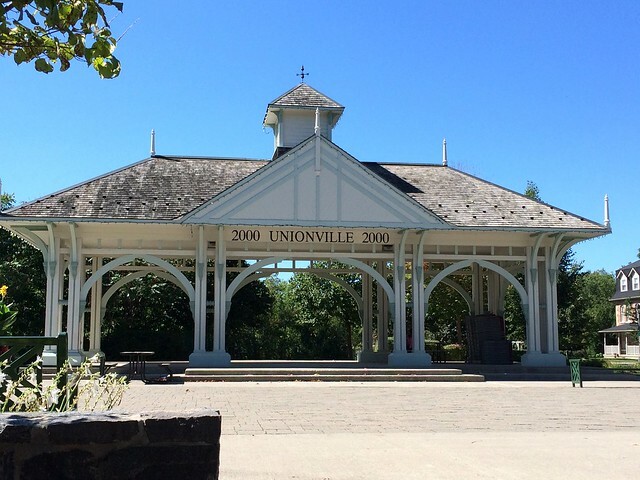 It’s one I can watch over and over – dying to visit Unionville soon! 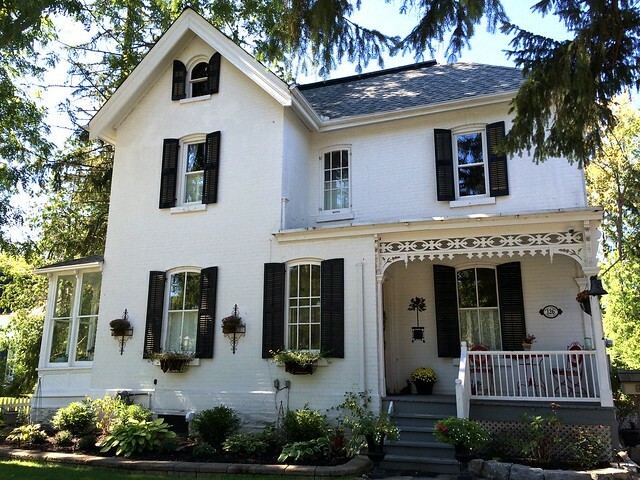 A visit to Unionville is a must – especially in the fall or holiday season.